Be it lost baggage, personal accident or travel assistance benefits. We make sure that no matter where you travel to, you’ll be covered for travel inconveniences worldwide. With Tune TrIP Travel Insurance, we cover you for even the most “OMG!” situations. Check out the Tune TrIP Travel Insurance Plan premium tables according to the country you're travelling to. Australia, Bangladesh, Bhutan, Brunei, Cambodia, China, Hong Kong, India, Indonesia, Japan, South Korea, Kazakhstan, Krygzstan, Laos, Macau, Maldives, Myanmar, Mongolia, Nepal, New Zealand, Pakistan, Philippines, Sikkim, Singapore, Sri Lanka, Taiwan, Timor Leste, Thailand, Tibet, Uzbekistan and Vietnam. What is Tune TrIP Travel Insurance Plan (Tune TrIP)? Tune TrIP is a comprehensive insurance plan designed specifically for the needs of an Individual and a Family who will be travelling domestically or internationally. The major benefits provided are medical related benefits, personal accident benefits, travel inconvenience benefits and 24/7 Worldwide Travel Assistance. What is the age limit to purchase Tune TrIP Travel Insurance Plan ? All Malaysians or Residents who have permanent address in Malaysia and departing from Malaysia. Can I purchase Tune TrIP Travel Insurance after I have departed and still be covered? No. You must purchase the cover prior to your scheduled departure. One Way Trip: Upon expiry of 3 days (72 hours) from the first arrival date. Return Trip: 180 consecutive days for an overseas trip. Annual Trip: 30 consecutive days for an overseas leisure travel trip and 90 consecutive days for an overseas business travel trip. If I am travelling to multiple countries, do I need to buy a separate plan for each country? Which area should I select? 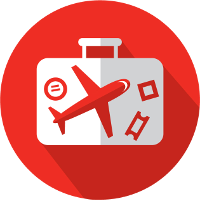 If you are travelling to multiple countries within the same trip, you can be covered under one policy. Please select the furthest country as listed under our area of coverage. Which Travel Insurance plan should I buy if I were to travel domestic (within Malaysia) and overseas in a single trip? You are required to purchase 2 separate plans ie. Domestic Plan and International Plan. Can I extend my Tune TrIP Travel Insurance policy period after the commencement of my trip? Yes. Your coverage can be extended at our sole discretion for up to 30 days from the expiry of the period of insurance without payment of any additional premium if you are hospitalized and / or quarantined overseas as recommended by a doctor which it is deemed reasonable by us and prior to the insurance expiry. Benefits for the extended coverage are limited to Section 2 – Travel Inconvenience Benefit only. No. Tune TrIP does not cover any pre-existing condition occurring within 120 Days prior to the policy effective date. Yes, if you suffered from a disability while travelling on an overseas trip and subsequently seek follow-up treatment in Malaysia, you will be reimbursed the Medically necessary expenses incurred within 30 days upon arrival to Malaysia, subject to the medical expenses limit specified in the Schedule of Benefit. What do I need to do if there are changes to my contact details or trip information? You may email to hello@tuneprotect.com to inform on the changes. You may cancel your policy by giving us 30 days written notice to our email address at hello@tuneprotect.com. a) Your annual policy will be cancelled from the 1st day of the month following a cancellation request and refund of premium is in accordance with the short period rate table used by us for the unused period of cover. b) Your single trip policy can be cancelled subject to our approval provided that your request date is prior to the commencement date of the trip or period of insurance. Whom do I contact for travel or medical assistance while being overseas? Please call Asia Assistance Network (AAN) at +603-7841 5788. You may Reverse Charge the call where this service is available. Please contact AAN prior to any admission into Medical Centre / Hospital whilst abroad. You may check your Claims status from this page. Please submit your claim within 30 days of you becoming aware of an incident or loss leading to a claim. What should I do if I required medical evacuation? In the event of you requiring medical evacuation or repatriation please contact Asia Assistance Network (M) Sdn Bhd as soon as possible via telephone No +603-7841 5788, fax +603-7629 8810 or email ops-kl@aa-international.com. In this instance it is cashless i.e. you will not be required to pay except where the ‘benefit’ limit has been exceeded. In cases requiring medical attention but not relating to evacuation or repatriation, you shall have to pay the costs of the medication and seek reimbursement. Please refer to the Claim Form for the Checklist of Required Documents. Where required, we shall request for further documentation and / or information from you to access your claim. You may make a claim but please be aware that we require proof of ownership for the item(s) therefore it is a minimum requirement that you provide evidence of ownership. We may accept Warranty Cards and credit card statement as evidence of proof of ownership. Will I have to bear any ‘Excess’? Under Tune TrIP, excess applies to Loss or Damage to Baggage / Personal effects and to Medical Expenses. The excess amounts differ depending on the Plan i.e. Individual or Family and between Domestic and International Travel. Please refer to the Schedule of benefits for further details. Am I covered for medical expenses should I be diagnosed with swine flu (H1N1) whilst on my trip? Under the Tune TrIP General Exclusions which is applicable to the entire policy, it is stated that the insurance does not cover any loss resulting directly and indirectly (in whole or in part) from pandemic or epidemic which includes swine flu (H1N1), thus the claim will not be payable. Am I insured whilst pregnant? Yes you are. However, you are NOT covered in any cases of miscarriage or childbirth, or any treatment relating to birth control or treatment pertaining to infertility or any other complication arising there from. Can I cancel my trip if one of my relatives are taken ill (1) before my trip or (2) during my trip? The policy does not define relative but defines immediate family member as legal spouse, parents & parents-in-law, children & children–in–law, siblings and grandparents. If any one of the immediate family member is admitted into hospital (where it is medically necessary and not for a routine check-up) then you may (1) cancel prior to leaving for the trip or (2) ‘curtail’ as in cancel midway through the trip and the policy will cover the loss. This is merely a general explanation; please refer to the policy for more details. Immediate family member refers to: 1. Legal Spouse; 2. Legal, Adoptive And / Or Biological Children; 3. Children-In-Law; 4. Siblings; 5. Parents; 6. Parents-In Law; 7. Grandparents of the insured who resides in Malaysia. I’m due to go on holiday in a few days time and there has been a natural disaster which may cause me some travel disruption - will I be able to claim if I cancel my trip? I am already on holiday and during that time there is a natural disaster, will I be able to claim if I cancel my trip to return home? You are covered for natural disasters but only in your planned trip destination(s). As an example, if your planned trip is to Tokyo, Japan, then you may claim for the cancelled trip if the natural disaster happens in Tokyo. If the disaster is in another city it is not covered. My travel has been delayed due to adverse weather conditions, what should I do? You may claim under the policy for the delay with written confirmation from the carrier (e.g. airline) but subject to terms & conditions of the policy. During my holiday, am I covered in the event of injury as a result of a terrorist attack? Yes. You are covered for Personal Accident and/or Medical treatment for the injury sustained. You are advised to refer the policy wordings for full details. What if my luggage is stolen while I am on holiday? Am I covered if my flight is delayed and I missed a connecting flight? The departure flight from Malaysia is covered for flight delay exceeding 6 hours however the policy does not cover missed connection therefore the policy will not pay for it. My entire family is travelling with me. In case there is a burglary at home, will the policy cover us? The policy has a Home Care Benefit cover that protects your home contents against theft up to the limit of Sum Insured specified. Can I claim for theft of home contents If a member of my family is at home while the rest of the family are away on holiday? The policy covers if the house is left vacant for the duration of the trip and the theft occurs after the trip commences and before your return home. Since a member of the family was at home when the theft occurred the claim is not payable. In my up-coming trip I intend to drive a rental car. If I meet with an accident, am I covered? It is important to ensure that you have a valid driving license to drive in your destination country. If you meet with an accident, you are covered by the policy. Please note however, that you will not be covered under the Personal Liability section as this cover should be provided by the car rental company. How are Tune TrIP Travel Insurance claims paid? Payment of any claim shall be in Ringgit Malaysia (by cheque) or its equivalent in other currency (by Bank Draft) at the prevailing rate as per Bank Negara Malaysia (Central Bank of Malaysia) at the time of effecting payment. What do I do if I wish to dispute a claim or have a general complaint? What happens to my policy purchased prior to 11 November 2016? What is Goods and Services Tax or GST? Goods and Services Tax (“GST”), which is also known as Value Added Tax (VAT) is a multi-stage consumption tax on goods and services in Malaysia. It will be implemented with effect from 1st April 2015 in Malaysia at Standard-rated supplies of 6%. Standard-rated supplies are goods and services that are charged GST with a standard rate. Will I be charged GST when I purchase Tune TrIP Travel Insurance Plan? What plans are subjected to GST? All Domestic plans are subject to Standard-rated 6% GST. Will I receive any Tax Invoice if I purchase Tune TrIP Domestic Plan? Yes, a Tax Invoice will be issued together with your Certificate of Insurance. Where can I get more information on GST? You can visit GST official website at http://gst.customs.gov.my/. What are the companies behind Tune TrIP? Address: Level 8, Wisma Tune, No 19 Lorong Dungun, 50490 Damansara Heights, Kuala Lumpur, Malaysia. How do I update my beneficiary nomination? You can update your beneficiary nomination here.